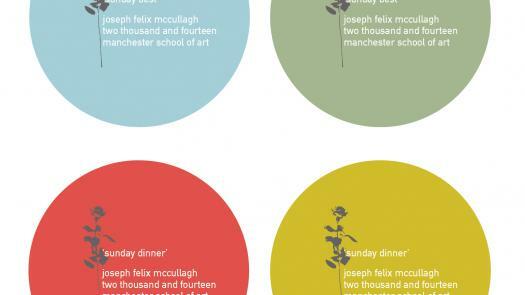 Joe McCullagh is Head of Design and Associate Dean for Learning and Teaching at the Manchester School of Art. He joined the school in October 2010. Previously he was the Head of Art with Directorships in Graduate Education, Research and Enterprise at the University of Huddersfield. He is a Senior Fellow of the Higher Education Academy. Educationally, Joe sees his role as one of being a pedagogic designer. Joe originally studied Fine Art at Trent Polytechnic gaining a first-class degree in painting, drawing and print-making. Like many art graduates Joe built up a ‘portfolio career’ working in related fields of the arts. However, he changed his career path when relocating to Manchester in 1989, developing a career in graphic design predominantly working within educational publishing. In 1992, he became a freelance graphic design consultant based in London, continuing to mainly specialise within educational publishing for a number of clients whilst also working on broad range of graphic design work. In 1997, Joe completed an MA in Design and Media at the University of Westminster where he specialised in interactive design. Subsequently, he went on to design for a range of clients working on design projects in CD-ROM design, and latterly interactive design for the web. Joe has held academic positions at Tower Hamlets College, The London College of Fashion, Coventry University and Nottingham Trent University. He continued to work as a freelance designer until 2004, where projects became more focused on design for social responsibility. He is currently a Board Director of the Manchester Craft and Design Centre and is on the Advisory Board for Design Manchester. Joe’s research and expertise are in pedagogy, specifically international and cross-cultural design education. He has been invited internationally to lecture and run workshops on this subject. 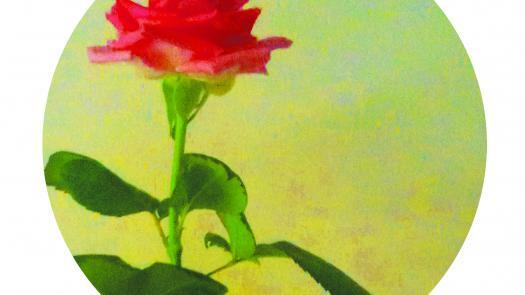 Joe has also exhibited graphic arts work throughout the UK, South Korea, China, the USA and Cuba. Current personal research projects have been based on a study of the aesthetics and phenomenology of visual ‘inbetweenness’ within cross-cultural art and design education and practice. McCullagh, J., 2016. South Korea: Winter Olympics in PyeongChang 2018, Touring exhibition to Taebaek, Yeongwol, Pyeongchang, and Jeongseon, 19/8/2016, 5/09/2016, 28/09/2016, 14/10/2016. McCullagh, J., 2015. Visual Information Design Association of Korea International Exhibition, Art Space Gallery of DaeWoong Pharmaceutical Co., Ltd. (163-1, Samsungdong, Kangnamgu Seoul, Korea) International Design Congress, KDJ Convention Center, Gwangju, Korea, 1–5 June 15/17–23 Oct 15. Group show, 2013. Seamless: the digital in design., Museum of Architecture and Design, Ljubljana, Slovenia, 19 September - 3rd November, 2013. McCullagh, J., 2012. The Magic Theatre (A touring group exhibition) curated by Mark Manning, Manchester School of Art, Holden Gallery, The Gallery NUCA, Norwich, November 2011/14 to 25 February 2012. McCullagh, J., 2011. 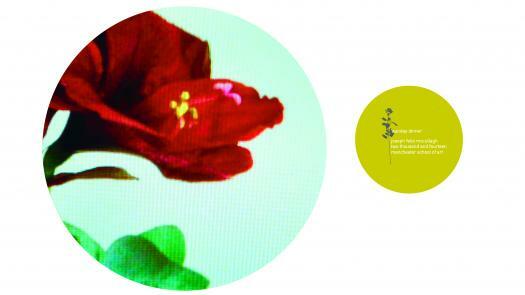 The World 100 Design Schools, Taipei, World Trade Centre, Taiwan, October 22 to 30, 2011. McCullagh, J., 2010. Communication with the Natural Environment and Design—International Design Exhibition, 1, 2, 3 Gallery in Busan Metropolitan City and Gallery in Art Factory in Dadaepo, South Korea, May 31–June 5 and June 8 Monday-June14. McCullagh, J., 2010. Love and Peace International Design Exhibition, Yiang Gallery, Seoul, South Korea, (www.galleryiang.com), 19–25 May 2010. McCullagh, J., 2009. Busan International Design Festival, Busan Metropolitan Gallery, South Korea, June 2009. McCullagh, J., 2009. Everyday Design (International touring exhibition), Exhibited graphics work at Everyday Design, Centro de diseno, cine y television, Mexico City, January 21–February 20, Feb 2009. McCullagh, J., 2008. Busan Art and Design Festival, Busan Fine Arts Association, Busan, South Korea, Busan Metropolitan Gallery, (catalogue), 26–31 May 200. McCullagh, J., 2008. Everyday Design (International touring exhibition), AIGA (American Institute of Graphic Art) National Design Center Gallery, New York, USA, June 12–15 August 2008. McCullagh, J., 2008. Everyday Design (International touring exhibition), MODAA (Museum of Design Art and Architecture), Culver City, California, 1–14 April 2008. McCullagh, J., 2008. Poster Exhibition for Colourful Daegu and the 13th World Championships in Athletics, Daegu Culture and Arts Center, Daegu, South Korea, September 2008. McCullagh, J. and Barnes, A., 2006. From Baskerville to New Basford and back again, Custard Factory, Birmingham, UK, October 16–18 2006. McCullagh, J., 2006. Intro, Vanilla Contemporary Art Gallery, Leicester, December 2006. McCullagh, J., 2005. 9th International Conference Information Visualisation, London, July 2005. McCullagh, J., 2005. Breath behind the line, Bridlesmith Art Gallery, Nottingham, Nov 2004 to Jan 2005. McCullagh, J., 2005. International Conference on Computer Graphics, Imaging and Vision, IEEE COMPUTER SCIENCE SOCIETY, Beijing, China., July 2005. McCullagh, J., 2005. International Design: APEC Summit Talk, Busan, South Korea, September 2005. McCullagh, JF., 2017. 'Made in Translation', Portico Library, Manchester. McCullagh, J., 2014. 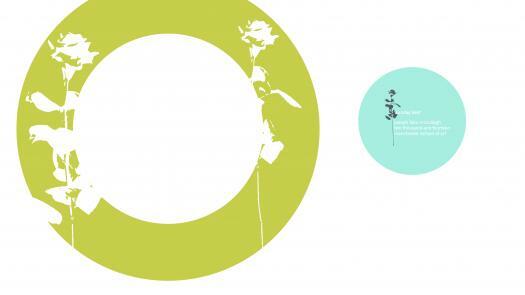 'Summer project', A series of plate designs for the RHS Flower Show, Tatton, Tatton Park, Cheshire, June 2014. McCullagh, J., Roberts, I., 2013. 'A Manifesto for Growth', Visualising pedagogy. A series of artefacts that explore academic pedagogy in art and design, Tatton Park, Cheshire, 2013, Whitworth Art Gallery, Manchester, 2013, Ordsall Hall, Salford 2014, 2013/2014. McCullagh, J., 2011. '‘Let’s have a cross-cultural picnic!’. Being a ‘pedagogic designer’—articulating the language of design and pedagogy by animating social, communicative and improvised cross-cultural learning spaces.'. McCullagh, J. Swindells, S., 2010. 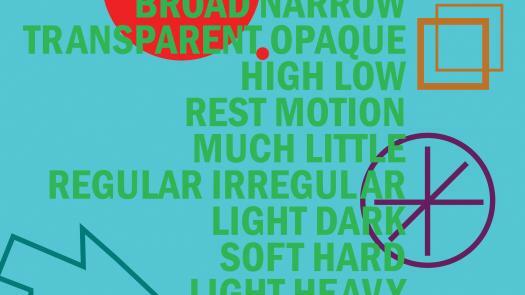 'Radar: Review / Art / Design / Architecture / Research. Volume.1 Number 1. ', University of Huddersfield. McCullagh, J., Macbeth, P., 2018. ''Where all things are always possible''. In FITNESS FOR WHAT PURPOSE? Essays on design education celebrating 40 years of the Sir Misha Black Awards. Edited by Mary V Mullin and Christopher Frayling., Eyewear publishing. McCullagh, J., 2008. 'Developing communities of practice and research through research informed teaching and learning in cross-cultural groups'. In, CLTAD 4th International Conference Centre for Learning and Teaching in Art and Design. Enhancing Curricula: using research and enquiry to inform student learning in the disciplines 3-4 April 2008 Lycée Francais, New York. McCullagh, J., 2008. 'Sik ‘Discourse II Exhibition’'. In Catalogue essay for Designer Hong Dong Sik (eds.). Jones, C., McCullagh, J. and Watson, Y., 2006. 'Re-assessing the international and cultural aspects of learning in the provision of art and design post-graduate education.'. In CLTAD (eds.) CLTAD CENTRE FOR LEARNING AND TEACHING ART AND DESIGN, 2006. 3rd International Conference. Enhancing Curricula: contributing to the future, meeting the challenges of the 21st century in the disciplines of art, design and communication, CLTAD, Centre for Learning and Teaching in Art and Design, University of the Arts, London. McCullagh, J. and Frietas, M., 2005. 'Designing an interactive e-learning course, which focuses on the autonomous learner and the multimodal learner within art and design'. In Designs on elearning, International Conference on Teaching and Learning with Technology in Art, Design and Communication, 14-16 September 2005. University of the Arts, London. McCullagh, J., 2005. 'Opening essay'. In Hong Dong Sik (eds.) The sense of sight, the sense of hearing, the sense of smell, the sense of taste, the sense of touch+inspiration., Opening essay, Jungle Press. McFadyen, J.McCullagh,J., 2015. 'Design Collaborations: The Good, the Bad, and the Unthinkable', Design Principles and Practices: An International Journal — Annual Review, http://ijg.cgpublisher.com/product/pub.282/prod.22. McFadyen, J., McCullagh, J., 2015. 'Design Collaborations: the good,the Bad, and the Unthinkable', Design Principles and Practices: An International Journal - Annual Review, 8 (1), pp. 17-29. McCullagh, J., 2015. 'Introducing ALF', Learning and Teaching in Action, Volume 1/Issue 10 2015, 12–20. McCullagh, J., McFadyen, J., 2014. '‘Design collaborations: the good, the bad and the unthinkable’', Design principles, The Design Collection, Volume 8, 2014. McCullagh, J., 2016. 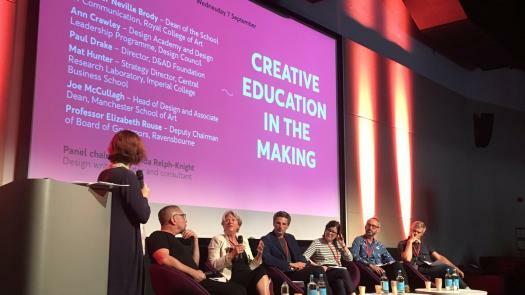 'Creative Education in the Making', Creative Education in the Making, Ravensbourne university, 07/09/16. McCullagh, J., 2015. 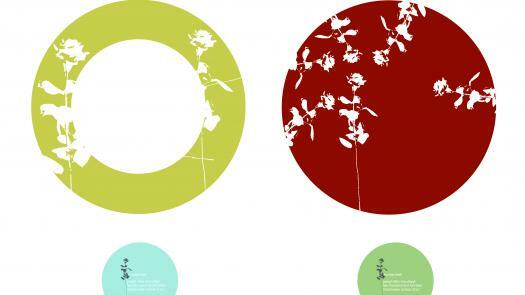 'Design and Communication: Unpredictable Encounters', World Design Congress: Eeum Design Connects, KDJ Convention Center, Gwangju, South Korea, 17-23 October 2015, in Eeum Design Connects and at www.2015idc.org, 113. McCullagh, J., McFadyen, J., Holmes, A., 2013. ''Unit X, future-proofing the undergraduate curriculum'', Designing Design Education for India, Pune, India, March 2013, in Proceedings, DDEI, 2013. Holmes, A., 2013. 'Remake remodel this is design Education Tomorrow Calling', DesignEd Asia, Hong Kong, December 2012, in DesignED Asia Conference 2012 proceedings, 175-191. Holmes, A., 2013. 'Unit X, future-proofing the undergraduate curriculum', DDEI Conference, Pune, India, March 2013, in Proceedings DDEI 2013. McCullagh, J., McFadyen, J., Holmes, A., Crow, D., McKeating, J, 2012. 'Re-make, re-model: this is design education tomorrow calling. 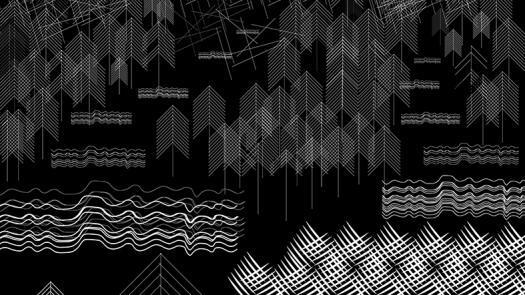 ', DesignEd Asia—Incorporating Disciplinary Dynamics Into Design Education, DesignEd Asia, Hong Kong Convention & Exhibition Centre, December 2012, in DesignEd Asia—Incorporating Disciplinary Dynamics Into Design Education. McCullagh, J., 2011. 'Old School, New School, Art School, contemporary art and design education', British Council, Taipei, Design Convention Centre, 23 October 2011. McCullagh, J., 2008. '‘Chromophobia v Chromophilia — the contradiction of colour within cross-cultural communication media’', Daegu Design Week, Daegu, South Korea, 4–10 July, in Icograda/International Design Alliance IDA (conference proceedings). Jones, C., McCullagh, J. and Watson, Y., 2007. 'Developing sustainable pedagogic strategies for the international and cultural aspects of learning in art and design post-graduate education', Creativity or Conformity International Conference, Cardiff, Wales, UK, 8-10 January 2007, in http://www.creativityconference07.org/tabled_papers.php#session1. McCullagh, J. and Barnes, A., 2007. 'New Basford—A visual typographic terrain', Bournemouth Institute of Art Research Group Symposia, Arts Institute at Bournemouth, April 2007, in the arts institute at Bournemouth http://www.aucb.ac.uk/pdf/Annual%20report%2006-07.pdf p10. McCullagh, J., 2007. 'Riding the seven c’s, developing an international cross-cultural design educational model', ICOGRADA World Education Design Congress, Havana, Cuba, October 20-26, 2007, in http://www.icograda.org/events/event_archive/articles1014.htm. McCullagh, J. and Barnes, A., 2007. '‘New Basford—A visual typographic terrain’', Writing Landscape, an inter-disciplinary symposium for scholars in the arts and humanities, University College London, 19 March 2007, In: Writing Landscape: An inter-disciplinary symposium for scholars in the Arts & Humanities, Stewart House, UCL, London, 19 March, 2007, in http://geography.exeter.ac.uk/understandinglandscape/New%20Basford%20paper.pdf. McCullagh, J. and Barnes, A., 2006. 'From Baskerville to New Basford and back again', Fast Type/Slow Type: St Bride's Annual International Typography Conference, Custard Factory, Birmingham, UK, October 16–18 2006, in http://stbride.org/events/fasttypeslowtype and http://www.typographichub.org/diary/entry/fast-type-slow-type-conference/. McCullagh, J., 2005. 'Creation of the P.I.E. Foundation — ‘providing interactive education’. An online blended learning project designing elearning experiences for level 2 graphic design students within a school of art and design', THE UNIVERSITY OF GREENWICH, 2005. National Conference, E-learning: Extending the classroom walls 15 June 2005., University of Greenwhich, 15 June 2005, in http://web-dev-csc.gre.ac.uk/conference05/index.php?p=93. McCullagh, J., 2005. 'Graphic Design education', Guest lecture, Changwon National University, Industrial Design Department, South Korea, May 2005. McCullagh, J., 2005. '‘Changing face of character design–hybridising into new forms of communication. An illustrated talk’', Invited by the Korean Craft and Design Foundation, Tongmyong University, Visual Communication Department, Busan, South Korea, May 2005. McCullagh, J., 2004. 'Guest lecture on Graphic Design Education', Maryse d’Ecole Mod Art International, Paris Visiting speaker to the School of Graphic Design and Fashion, Maryse d’Ecole Mod Art International, Paris Visiting speaker to the School of Graphic Design and Fashion, May 2004. McCullagh, J., 2002. 'The foundations of computer mediated communication through the virtual learning portal. ', Institutional Learning and Teaching Conference, Nottingham Trent University, May 2002. Adkins, L., Duffy, N., Aubrey, K., Kettle, A., Biggs, L., Williams, C., Bonnell, S., Royle, N., Bryne, E., McCullagh, J., Cooper, D., Raven, L., Dixon, S., Schoene, B., Evans, P., et al, 2015. 'Made in Translation'. McCullagh, J., 2010. 'Design Week journal', Pedagogic work featured in article ‘University event proposes better links with industry’ 6 May 2010, p4..
McCullagh, J., 2007. 'Creative Review Magazine: ‘Tribal Gathering—cultural diversity was celebrated in all its glory at the recent Icograda World Design Congress in Havana’', Creative Review Magazine. Pedagogic work featured in an article p60 ‘Tribal Gathering—cultural diversity was celebrated in all its glory at the recent Icograda World Design Congress in Havana’ by editor Mark Sinclair.